A Timeline of the History of Miniatures: From Ritual and Religious Object to Plaything and Collectible | Tourmaline . *This post is best viewed on a computer. It gets a bit convoluted on mobile devices. On this week’s episode of My Mini Monday, I discuss miniatures throughout history. This one is for all you history and miniature buffs. The images in the timeline below are not mine, many are under creative commons license from wikimedia commons If denoted with an asterisk, the image’s source is in the list below the timeline, otherwise, please click on the image for it’s source page. If you are the owner of one of these images and do not approve of it’s usage, please let me know and I will promptly remove it. The earliest known examples of dollhouses (with wooden models of servants, furnishings, boats, livestock and pets, placed in pyramids for religious purposes). 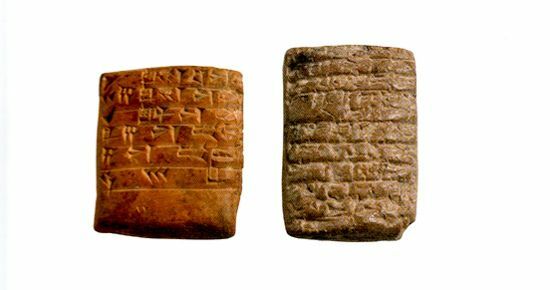 Mesopotamian clay tablets considered the first miniature books. Miniature artwork in the Egyptian papyrus manuscripts. Iron Age/Roman West votive offerings and grave gods. Salisbury hoard detailed miniaturized bronze shields. So detailed they are later used by archaeologists to learn about their full-scale counterparts. Less representational miniature Roman weapons produced. Mithrassymbole – detailed bronze miniatures of farming implements, snakes, lizards and frogs in wealthy female burrials around cologne. Peter Schoffer publishes Diurnale Mogantinum – the first traditional miniature book. 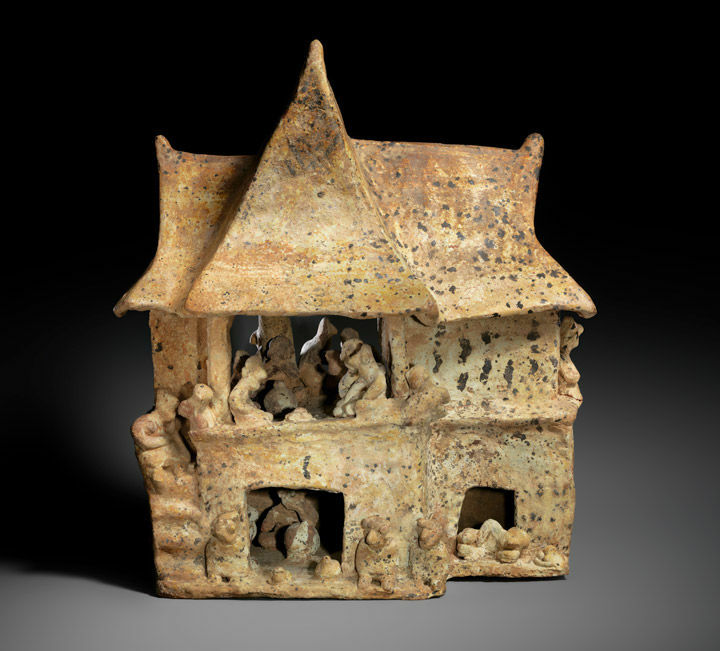 Earliest known European dollhouses (baby houses – cabinet display cases with individual rooms, trophy collections made for adults). Small toy tea sets, made from pewter and copper, first created in Germany. Rise of the use of maquettes during the baroque period – small models of planned sculptures (also referred to as plastico, modello, bozzetto or sketch). **this date could be even earlier in history, more information is needed. Smaller doll houses with more realistic exteriors appeared in Europe. Porcelain manufacture led to resurgence of children’s tea sets. First model train engines created as prototype steam engines. Shipwrights build scale ships as demonstration prototypes. Dollhouses began being mass produced in factories – Christian Hacker, Moritz, Gottschalk, Elastolin, Moritz Reichel in Germany, and Silber & Fleming, Evans & Cartwright, Lines Brothers (later Tri-ang) in the UK. Germany’s very popular dollhouse manufacturing declines. More cost-effective children’s tea sets produced from bakelite and celluloid, and the dolls’ tea set emerges with the invention of celluloid dolls. 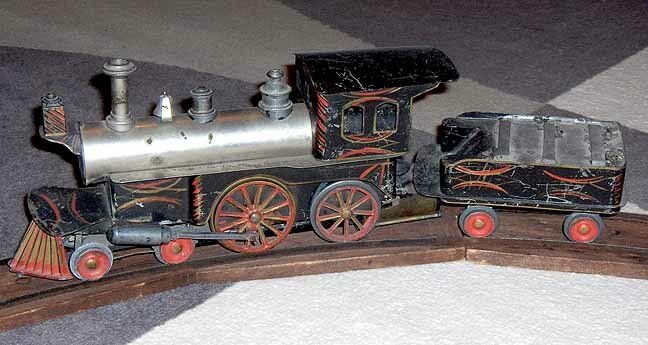 UK company Stevens’ Model Dockyard produces miniature brass locomotives. Small scale commercial train models produced. Model trains become more available. US company Eugene Beggs of New Jersey begins making steam models. The Bliss Manufacturing Company begins making dollhouses in the US. Germany’s Markland company is the first to use a numerical model train gauge system. Clockwork model horseless carriages date back to this time (the earliest miniature automobiles). 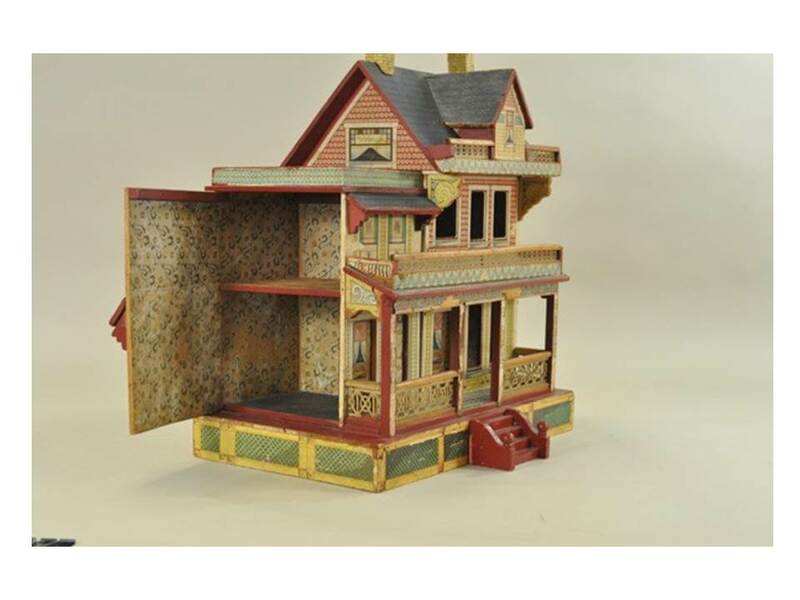 TynieToy Company of Providence, Rhode Island makes authentic replicas of American antique houses. Other notable early 20th century American dollhouse companies include: Roger Williams Toys, Tootsietoy, Schoenhut, Wisconson Toy Co.
Meccano Ltd. Introduces a set of six die cast scale model cars to go with their O scale model train line. 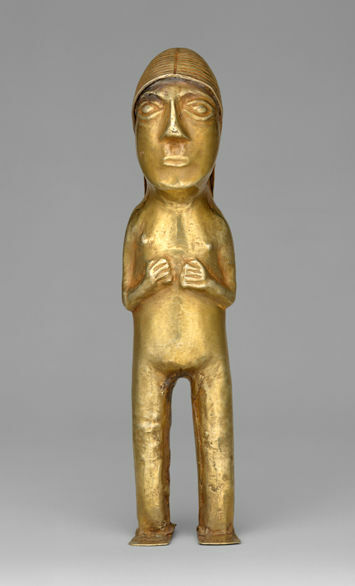 First plastic models manufactured (By Frog in the UK). First scale model automobile kits produced by Ace and Berkley (wooden). First plastic automobile kits produced by Revell. American companies began producing plastic models (Hawk, Varney, Empire, Renwal, Lindberg). Dollhouses are mass produced in larger scales with less detail. More companies began production of plastic models (America: Aurora, Revell, AMT, Monogram, UK: Airfix, Matchbox, France: Heller SA, Italy: Italeri, ESCI, Former Soviet Union: Novo, Japan: Fujima, Nichimo, Bandai). Automobile models originally made as sales promotional items become popular with the public. AMT begins producing 1:25 scale models to meet this demand. Most dollhouses are made with sheet metal and contain plastic furniture – relatively inexpensive and available to developed western countries. AMT starts producing model car kits. Tamiya began manufacturing plastic model aircraft kits. Japanese companies Hasegawa and Tamiya dominate the plastic model industry. Chinese companies DML, AFV Club and Trumpeter join Hasegawa and Tamiya at the top of the plastic model industry. Tamiya reissues a small selection of plastic model aircraft kits. As I learn more, I’ll add more, so stay tuned. There’s so much to the world of miniatures, there’s not way this is ever going to be complete. Leave a comment below about your experience with miniatures, your notes on the history of miniatures or your ideas for future MMM posts! **By no means am I an expert in this area, if I got something wrong, left something out, etc. let me know by commenting below or emailing jennifernicholewells@outlook.com.